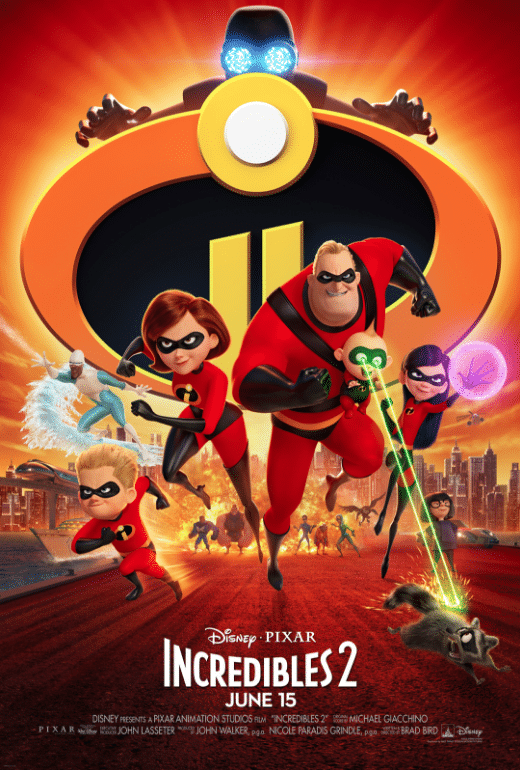 I am so excited for the Incredibles 2 to be in theaters on June 15th. I feel like it’s been such a long time coming for their sequel. We have to know more about Helen, Bob, Violet, Dash and Jack-Jack. At the very least, we need to know more about Jack-Jack’s super powers, as we only saw a hint of them at the end of The Incredibles. I know that a big part of it is nostalgia, but I love it when my girls want to watch a video from years ago with me, and what better way to celebrate then by making these Jack-Jack Cookies from The Incredibles 2. We all have a sweet tooth, and cookies are totally my jam! The best part for me is that these are incredibly (see what I did there) easy to make gluten and dairy free as I can pick up a box of gluten free white cake mix ! Then, the whole family can enjoy them together! 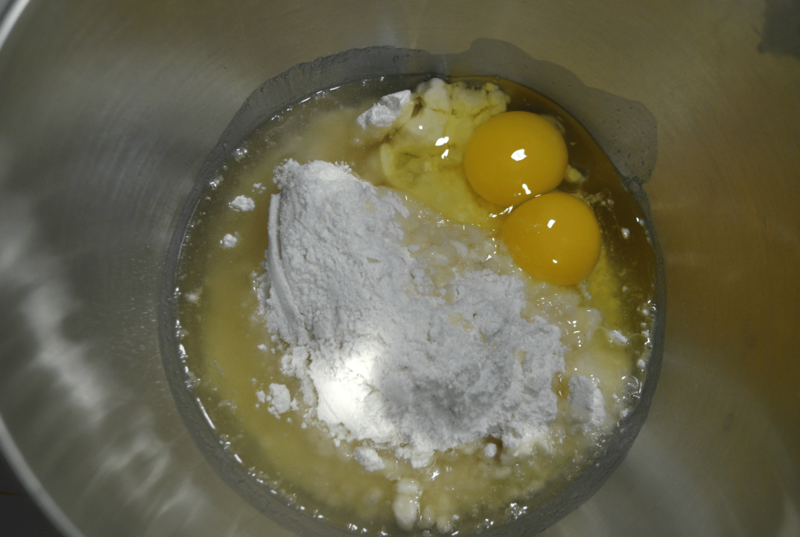 To the cake mix, you are only adding oil and eggs. Viola, the cookie dough is made. Then you separate the dough into three bowls and using red, orange and yellow gel food coloring , apply the colors to each bowl. 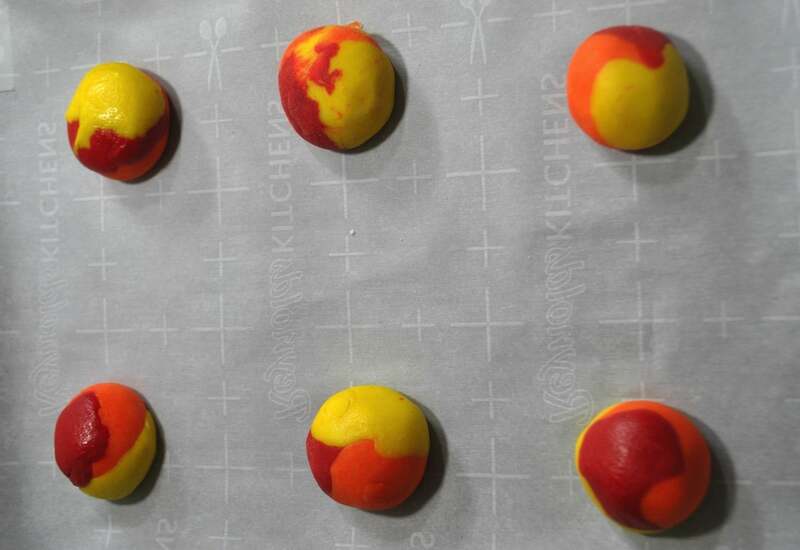 From each of the colors, take about 1 teaspoon of each color of dough and form into tablespoon sized balls. Then, they take a roll in sanding sugar , bake them and your cookies are ready! This is a super incredible and easy to make cookie recipe that my girls can make on their own, or we can work together. Or, maybe in honor of Helen going back to work, the next time, we’ll have Mr. Serious make the cookies with the girls! 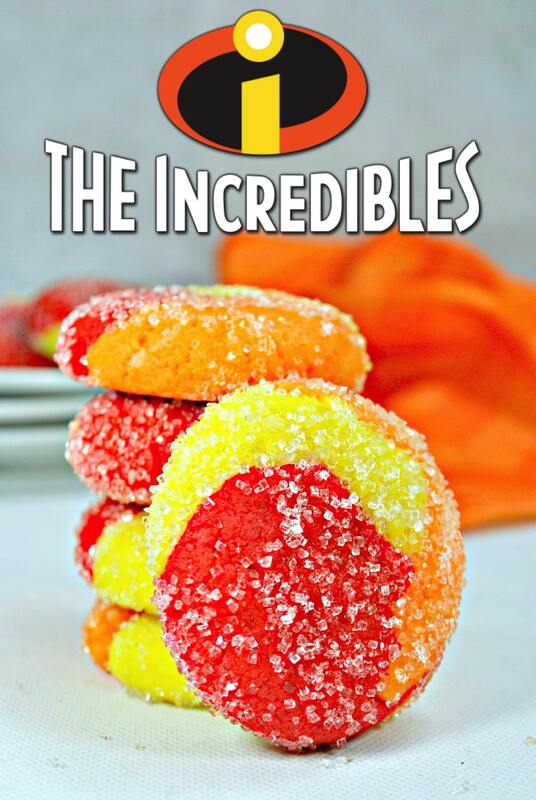 And, I wouldn’t frown upon taking a couple Jack-Jack cookies in when you go to see The Incredibles 2 in theaters! 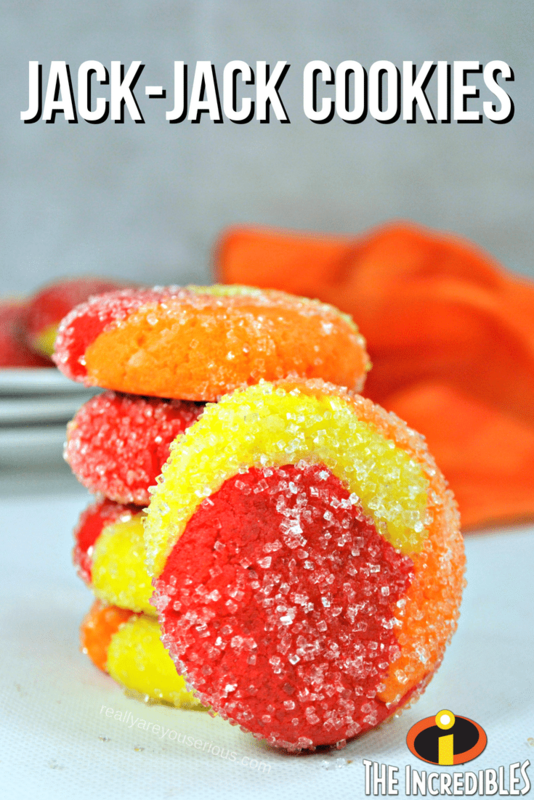 A super easy and versatile cookie from cake mix recipe. 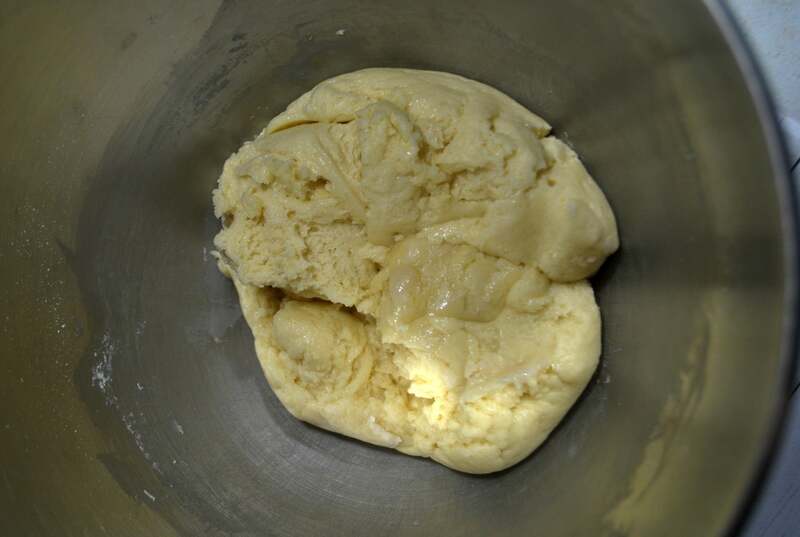 Using a standing mixer, combine (gluten-free white) cake mix, vegetable oil, and 2 eggs until combined. Mix red food coloring into one bowl. Mix Yellow food coloring into the second bowl. 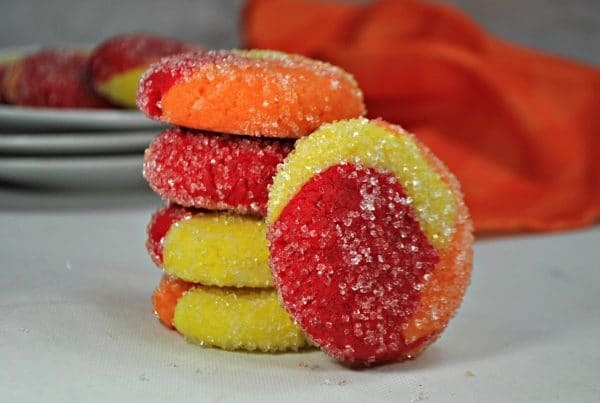 Mix Orange food coloring into the third. Pour the sanding sugar into a bowl and roll cookie dough into the sanding sugar. 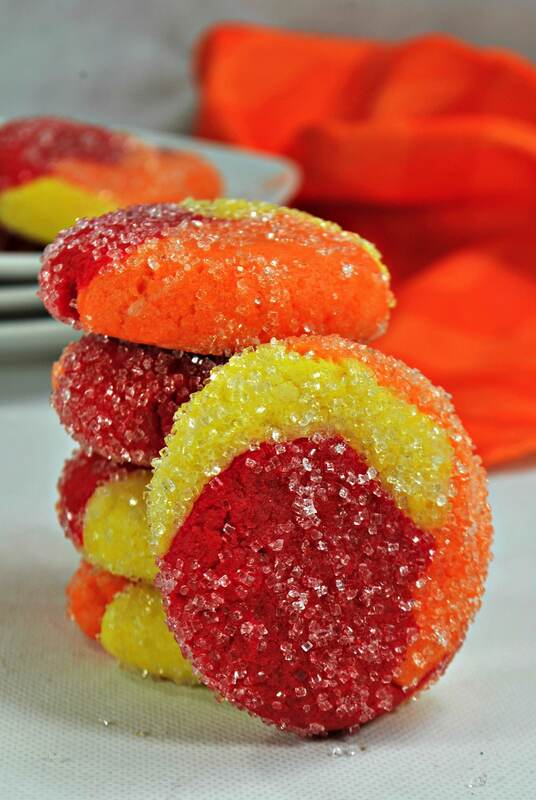 These cookies are so cute, I love the colors. I’ve been looking forward to this sequel for such a long time, I’m super excited about it. I’m so very excited for it! It was like when we FINALLY got Finding Dory! Cake mix cookies are always soooooo soft. I love making funfetti ones during the spring! Me, too! Plus, I like drop cookies instead of having to roll out the dough! I’m loving the idea of Mr. Serious wrangling the kids with cookies like Mr. Incredible does!! I think he’d be more of a wrangle with ice cream dad.